The World Unseen: Intersections of Art and Science gathers the work of ten international artists, including Jody Rasch, who draw upon microbiology, biotechnology, anatomy, and texts in their investigations of microbes and cells, DNA, history of disease and science, the body, and beauty. They all share a deep interest in science, and some are scientists themselves or collaborate closely with researchers. Some mine the images of the unseen world to comment about the debates that swarm around the intersection of disease and ethics—past, present, and future. 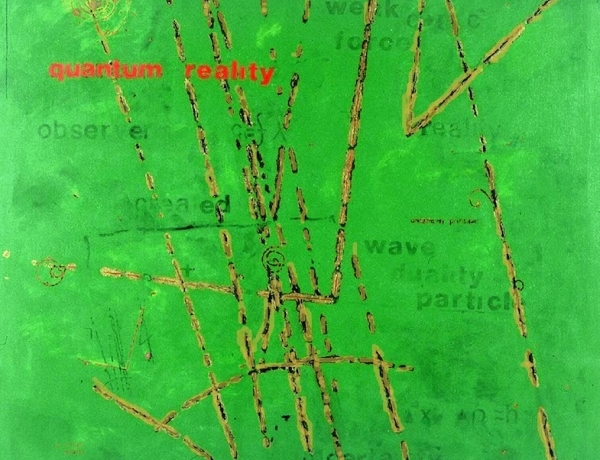 Others are drawn to the abstract beauty of what is sub-visible—real and imagined. Several of the artists use their work as a starting point to understand the complex relationships between humans and their biological systems, as well as challenges facing us in the 21st century, including emerging infectious diseases and antimicrobial resistance. Through paintings, drawings, installations, and videos, these artists ponder the humanistic and scientific implications of knowing and seeing what we normally cannot see. The AAAS Art of Science and Technology Program features Jody Rasch’s paintings and drawings in a two-person exhibition which explores duality−abstraction and representation, the literal and the metaphorical, science and mysticism, the unseen and the seen− a predominant theme in Rasch’s work. The artist uses science images to look beyond what we see in the macro world of our daily lives and gets us to question our world-view and how we react to information. The large-scale exhibition includes work based on themes from astronomy, biology, physics and spectra. The artist transforms images from radio astronomy, electron microscopy, particle accelerators and individual element’s spectra, discovering their underlying patterns and working with color and design to create work that is both representational and abstract. 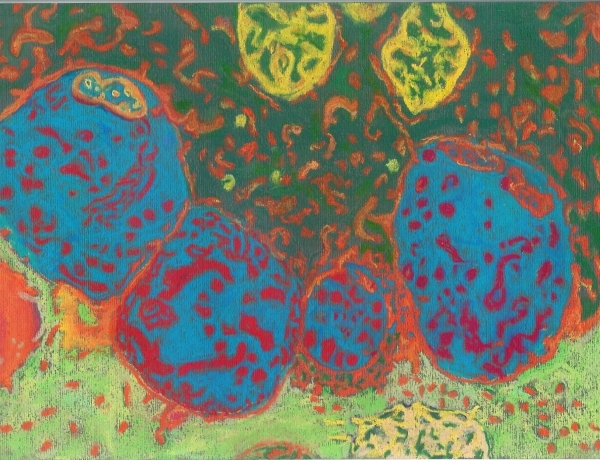 Rasch uses the scientific images as a connection between the unseen and the visible world. The scale of the actual images contrasts with the size of the artwork: the biological and physics images are massively enlarged and the astronomical images are drastically reduced. The goal is to bring the images to a more human scale so that the viewer can relate to the concepts and elements that underlie our world and universe. He utilizes a variety of techniques and media, including oil, acrylic paint, pastels, colored pencil and pen/ink.